This afternoon the Bulls and the Washington Wizards close out their season series on the West Side with the Wizards shooting for a clean, 3-0 sweep. The last time these two tangled, also played at the UC, DC ran away with a 101-90 victory thanks largely to Tomas Satoransky, a second-year wing from the Czech Republic, who stepped up in a big way, going 10-for-12 from the field in posting a career-high 25 points. 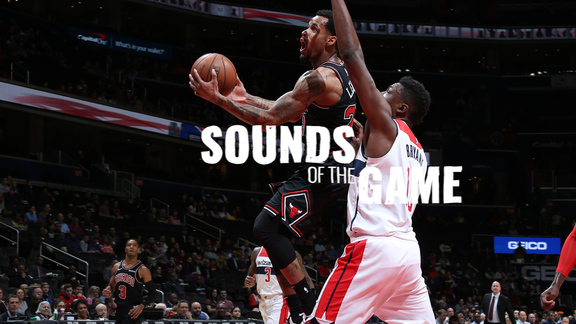 Otto Porter Jr. and Mike Scott also contributed 15 points apiece for the Wiz, while Bradley Beal suffered a rough shooting night, shooting just 3-for-13 in notching seven points. Justin Holiday led the Bulls with 15 points while Bobby Portis added 13. An important key for Chicago this afternoon will be to control the paint and dominate the boards at both ends of the court. Once again it is highly likely starters Kris Dunn and Zach LaVine will miss the game due to injury, thus the Bulls’ primary ballhandlers, Cameron Payne, Jerian Grant, David Nwaba, Justin Holiday and Denzel Valentine, will need to pick up the slack by being aggressive and consistently look to drive to the basket. Doing so will not only force Washington’s defense onto its heels, but oftentimes into breaking down, which in turn should allow the Bulls to make their way to the free throw line to post a number of easy scores. To that end, Chicago will need to come out of the gates fast and strong, and look to exceed Washington’s energy right from the opening tip. 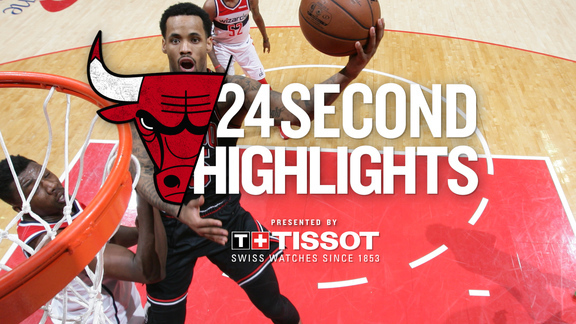 When the Bulls have efficiently implemented their offense, they’ve played at a fast pace and taken advantage of a number of quick strike opportunities. Thus in order for them to tap into their overall team speed and athleticism, they have to get out on the break and run at every opportunity. Attacking early in possessions not only speeds up the pace of the game, but it also denies the opponent time to get set on defense and shut down the paint. In order for the Bulls to compete with Washington this afternoon they’re also going to need to do a great job of sharing the ball by crisply passing it one side of the court to the other and from player to player. They’ll also need to station four shooters evenly along the 3-point arc to entice DC’s defense to abandon the paint and cover the perimeter. As soon as the Wizards focus their attention towards defending the arc, Chicago’s ballhandlers (the aforementioned Payne, Grant, Nwaba, Holiday and Valentine), need to then doggedly go on the attack by driving the ball hard into the paint to force the defense to scramble. If the Wiz slide back down into the paint and/or attempt to quickly trap or double-team, Chicago’s attackers have to adjust on the fly by finding an open teammate on the perimeter for an uncontested look at the hoop. By and large, the Bulls want to attempt between 85-to-90 shots every game, with 30-or-more coming from beyond the 3-point arc. In order to achieve both of those objectives they must play at a fast pace. They have to command the boards and speedily move the ball up the court. The most effective way to generate open shots is to unselfishly share the ball and force the defense to scramble and expend extra energy. To sum up, the Bulls chief task this afternoon is to be aggressive and never let up. Defensively they must sport a hardnosed mindset, and commit to outhustling and outworking Washington from the opening tip of the game until the final buzzer sounds a couple of hours later.